Boat engine (kelotok) is the most inexpensive means that can be boarded by people who have “mediocre bag”. It is very rare boat that came to this Derawan Islands. Meanwhile, foreign tourists, who usually dropped from aircraft in Kalimarau Airport, Cape Redep Derawan directly to the island using a speed boat which had been moored at the port specific. By using a speed boat, to Derawan Island only takes two to three hours. While the boat motor, could be reached after seven hours. By using a motor boat, visitors can while enjoying the fresh air. With the boat motor running slowly, also can enjoy the scenery and the flora and fauna that exist in the river region. When traveling for example, you can while watching the king prawns flying on the outskirts of the river that was about a mile to two miles it. According to Mr Sofyan, a prominent environmental activist in Berau District, along the river when there was also fortunate to have long noses found in monkeys (bekantan). In Berau, according to the latest report, The Nature Conservancy, found new populations of orangutans, which was alleged to have been extinct. Up on the Island Derawan already late in the afternoon. You should immediately find a fairly inexpensive lodging. There are many houses that prepared the population as a "home stay" which can be paid between 30-40 thousand dollars per night. Want even more expensive there, even cottages are available at the rate of U.S. dollar. Just the next day you'll get a chance to see the beach. Derawan Island Water is very clear. Obviously if you sit on the edge of the bridge that leads to the sea, turtles seen milling, swimming around the bridge. There's even a romp. The sea is clear like a swimming pool that is transparent, providing fun in the eye that sees. In this beach many diving enthusiasts, especially Japanese and Australian nationals visited this place. The islands are located in the Strait of Sulawesi, the incoming parts that are still close to the border with Malaysia that keep the beauty beneath the sea. If you could dive or float on the surface beach clean by using a "snorkel" floating on top of coral reefs Derawan Island, you can certainly find a fairly tame turtles roam around you. In addition, if you dive in the sea a deeper, you will encounter barracuda fish, ornamental fish, and thousands of reef fish alongside the maze in deep water. Dr. Carden Wallace of the museum's tropical Queensland, Australia has examined marine wealth Derawan Island and found more than 50 types of Arcropora (marine animal) in one coral reef. Not weird this place was known in foreign countries and quite popular among the professional and the amateur divers. Turtles can be seen almost every night you go up onto land and lay eggs next to the cottage, or how far from the port where you land when visiting Derawan. Derawan Island is better known abroad than his own country. Why not? Travel from Japan "Slapshot" from Tokyo or Nagoya, and then to Singapore and Sabah, direct to Balikpapan and then joined a small plane to Cape Redep, which exist in Berau. Some foreign tourists are a special advantage for the hobby of diving, because this place is the best area for diving. "The island is a shelter turtle in the world," said Mr. Sergei, a retired French teacher who has several times come on holiday to the island Derawan. "I just dive and go accompany a turtle go to sea," said Sergei Ms.Dianne wife. Dianne is a diving instructor, she teaches in a professional dive to the person or institution who wants to teach the basics of diving. These two men specifically Derawan Island vacation because not much is known and is not a bustling tourist targets. "We like it here, not many people," he said. As a remote island and not much visited by tourists, the island state is still very comfortable. Some lodging is also preparing tools for amateur and professional divers. 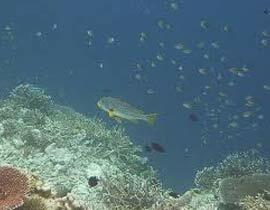 For the professional usually can rent the equipment supplied by Derawan Dive Resort with the rates can be negotiated.